One of those times I could get 2 species together in the same shot. That can be hard with some birds, but not such a big deal with these. 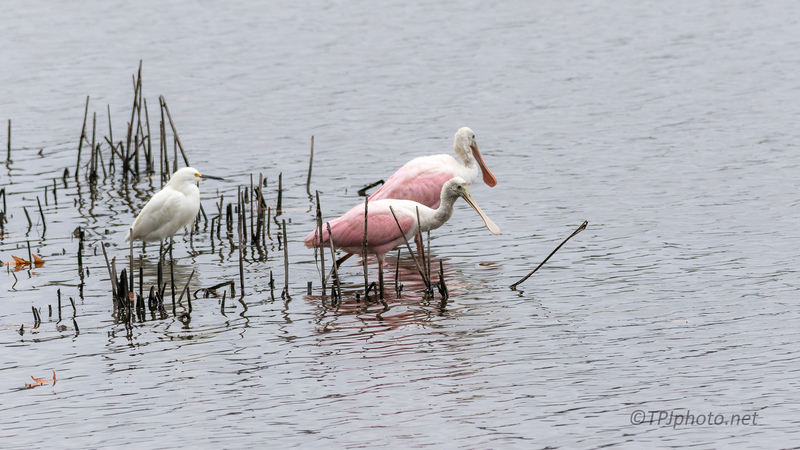 Spoonbills are pretty mellow and the white Snowy Egret usually gets along with them. 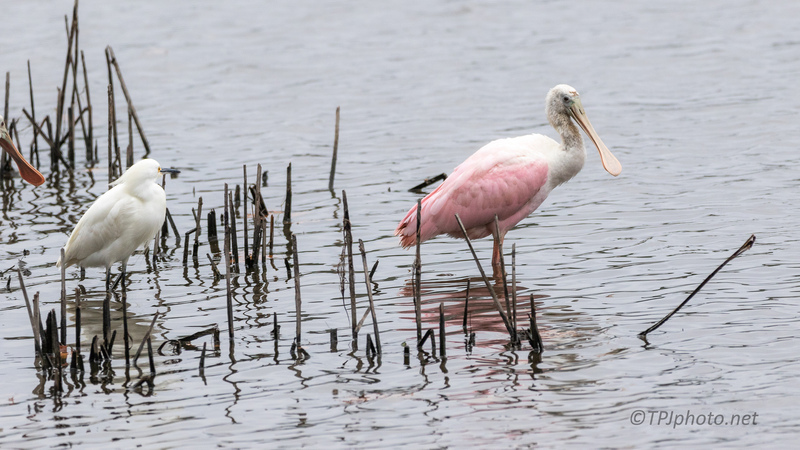 A Snowy Egret, pretty much any Egret, is an aggressive bird. 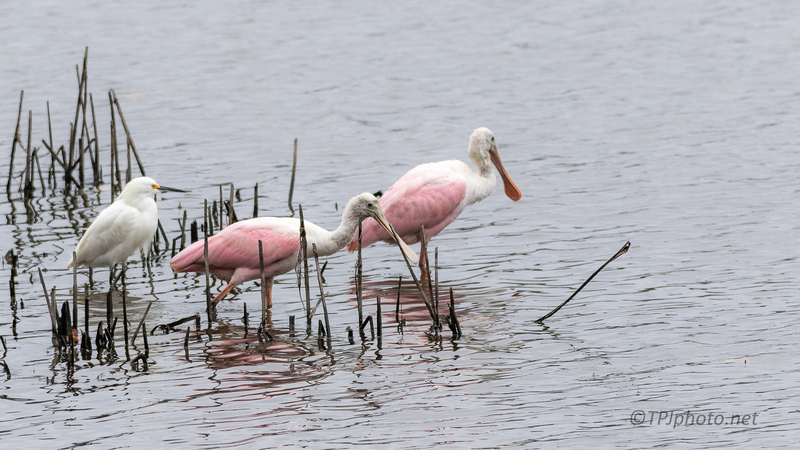 Spoonbills just ignore their antics so what can the Snowy do but get along with them. They look like agreeable birds😊. Nice shots!